OptaPro is a sub-division of Opta, focused on supporting professional clubs with analytics, for example match analyses, players’ and team performance, and scouting reports. 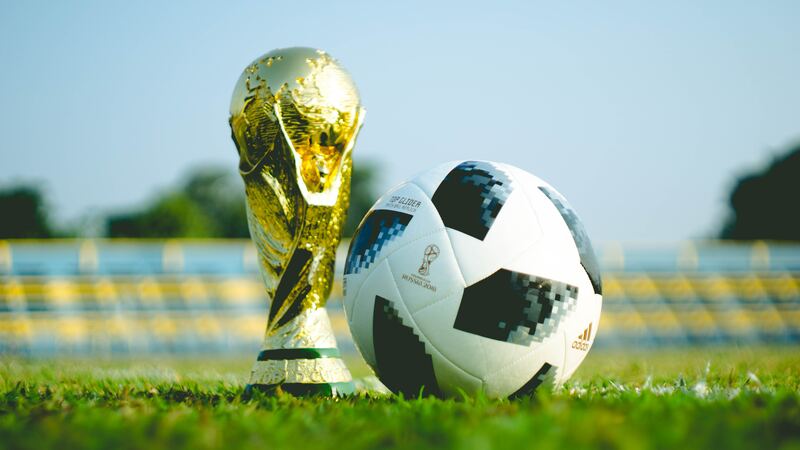 Birkbeck spoke to Ben Mackriell, Head of OptaPro, about the 2018 World Cup games and football in a digital world. Birkbeck and OptaPro have joined forces to deliver a Football Analytics module in 2019. Find out more: www.sportbusinesscentre.com/courses/football-analytics-module. 1. Overheard in a pub during a World Cup game: “Technology is killing football; it is a sport by humans for humans, and humans err.” How would you respond to this statement about the beautiful game, in an era of big data and digital technology? This is understandable – ultimately, football is a game played by people, and people make majority of the key decisions. I would say that data and technology are additional strands of information to players, coaches, analysts, and managers, in the same way a scouting report or physio assessment would be considered. With data, there is a challenge to ensure that what is produced is tactically relevant and can help inform decision-making. “How will this information help me win?” is a key question that should always be asked when conducting, producing, or presenting data-driven analysis. 2. People talk about the “World Cup Champion’s Curse” – what does OptaPro’s data analysis say about this? Does it exist, and if so, what are the factors involved? We must remember that a World Cup is played over a very small number of games – a winning team will play seven matches. In such a small sample, random events that can affect the score may happen, and the impact is magnified because of the small sample, as well as there being hardly enough time to revert to underlying form. Take Germany for example – despite their performances, they still created enough high-quality chances that would often see them win the matches they lost (Their expected goals (xG) totalled 5.59 – the highest in their group). While there are of course many factors that contribute to their early exit, in such a small sample it is possible that these chances could have gone in and this narrative would not exist. 3. The World Cup can potentially affect a player’s reputation and value. How are clubs using data from the World Cup in their player targeting and acquisition strategies? This is something clubs are extremely careful about, and this particular landscape has very much changed over recent tournaments. The World Cup is useful in that it provides a unique scenario for players to showcase their talent, and that can be valuable. However, tournament football brings such a small sample that it can be extremely difficult to draw any firm conclusions. Clubs would be considering this information of course, but they would also look beyond World Cup performance to investigate how a player has performed over a longer period. 4. What kind of information are football clubs most interested in receiving, and how has Opta’s research helped coaches and football teams? Every football club is different. Some will be in the early stages of the journey with data, and others will have full analysis teams across different age groups. A good example of the information clubs might look for is consistency. 99% of clubs cannot simply scout every player in South America – it is too expensive and too time consuming. A consistent dataset provides a club with player information which they know they can compare with more familiar players. This comes down to consistent definitions when we collect data, ensuring that a right winger in Brazil can be accurately compared with a right winger from the J-League. 5. This year, we saw the introduction of video assistant referees (VAR), which fans continue to discuss. Does OptaPro have any data on player performance following VAR decisions? For example, does VAR slow the game down or potentially increase the risk of injuries? It is still very early days with VAR, and more research needs to be done in this area. It is an interesting question to understand how breaks in play may impact performance. A lot of work is being done across VAR to ensure delays are minimal, and I think that this is a trend we will see continue. 6. What makes Opta unique, compared to other organisations providing performance data? Opta data has been part of the football conversation for years – be it through OptaJoe on Twitter, or data appearing on Match of the Day, or more recently, Monday Night Football. The detail of this data – every ball touch is collected live – is what makes Opta data unique. Having to capture this information to this level of accuracy in real time is certainly not easy, and in a fast-moving media and professional football world, live collection is essential. Regarding OptaPro, it is all about how we apply this data. We’ve built bespoke tools that are tailored for professional clubs, allowing them to apply this data to inform their decision-making across performance analysis, recruitment, and even with their strategic planning, where teams will be using data to help bring through academy players, for succession planning with squads, and for recruiting managers. 7. How might someone interested in a career in sports analytics get involved? There are many ways for people to get involved. In recent years, we’ve seen people enter the industry through presenting at our OptaPro Analytics Forum – an event that allows amateur analysts the opportunity to present detailed analysis to the professional football industry. The key is to not only understand how to work with data and maximise its impact, but also to understand how the game is played and what coaches are looking for in the information, which is arguably more crucial.